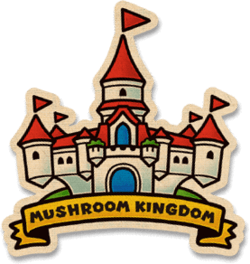 Welcome to our Super Mario Odyssey Kingdoms Location Guide, below we have a list of all the areas found in each Kingdom of Super Mario Odyssey. We have also included the Moon Color and the Wedding Items you will need to gather. 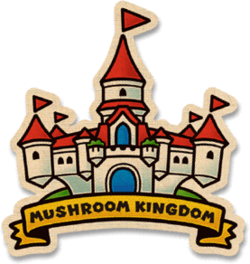 Each Super Mario Odyssey Kingdoms Location has a unique theme, all of which will be based on real-world areas. Every Kingdom has a Wedding Item you will want to gather, bowser will also be after these same items in preparation for his wedding. Cap Kingdom A misty town whose black, white and gold color scheme and hat theme match the interior of the Odyssey. Cascade Kingdom A prehistoric mountainous area with dinosaurs. Luncheon Kingdom A colorful area filled with giant crystal-like food around a pink lava sea. Peronza Plaza, a town with temple-like structures. Construction Site, an area with various girders. Seaside Kingdom A coastal area with several giant gold and glass chalices as the main landmarks. Unnamed lava kingdom A lava-themed kingdom with Bullet Bills and Banzai Bills. ? ? Now that you know all the Super Mario Odyssey Kingdom Locations, you should check out the clothing such as “Outfits” you can find there.